In this article I would like to dissect the Math curriculum here in Ontario and focus on the process of mathematics. Problem solving is central to learning mathematics. 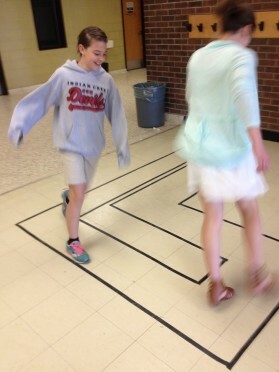 By learning to solve problems and by learning through problem solving, students are given numerous opportunities to connect mathematical ideas and to develop conceptual understanding. Problem solving forms the basis of effective mathematics programs and should be the mainstay of mathematical instruction. Computational Strategies: They may need to apply the written procedures (or algorithms) for addition, subtraction, multiplication, or division or use technology for computation. They may also need to select strategies related to mental computation and estimation. Developing the ability to perform mental computations and to estimate is consequently an important aspect of student learning in mathematics. Problem solving often requires students to select an appropriate computational strategy. In elementary school mathematics, students represent mathematical ideas and relationships and model situations using concrete materials, pictures, diagrams, graphs, tables, numbers, words, and symbols. Learning the various forms of representation helps students to understand mathematical concepts and relationships; communicate their thinking, arguments, and understandings; recognize connections among related mathematical concepts; and use mathematics to model and interpret realistic problem situations. Communication is the process of expressing mathematical ideas and understanding orally, visually, and in writing, using numbers, symbols, pictures, graphs, diagrams, and words. Students communicate for various purposes and for different audiences, such as the teacher, a peer, a group of students, or the whole class. Communication is an essential process in learning mathematics. Through communication, students are able to reflect upon and clarify their ideas, their understanding of mathematical relationships, and their mathematical arguments. 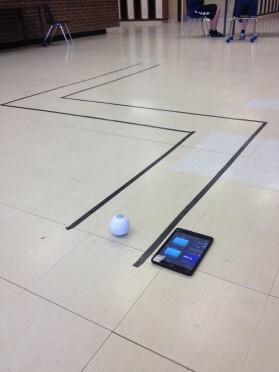 In this activity students will move the Sphero ball across a grid system, while describing, using math terms, the movement and location by coding the sequence. Check out this coding + Geometry activity using @gosphero and @tickleapp. Drag-and-drop programming for real-world objects, and “the most awesome blocks programming environment for iPad”. In a few minutes, you’ll be making drones fly and flip in mid-air, and robots move through obstacle courses. You can also program interactive stories and games using our library of animated characters and sounds. We made three “courses.” Students had to move the Sphero through without touching black. 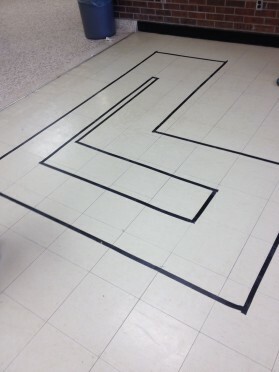 They had to time how long it took to move through each path in order to code it. 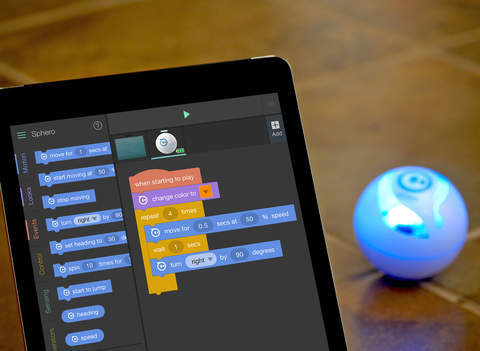 Sphero is the world’s first app-enabled robotic ball and a sophisticated companion for your smartphone or tablet. Learn, play, and explore with this awesome new robot. Sphero 2.0 rolls at speeds of up to 4.5 mph and pairs to your device via Bluetooth with a range of up to 100 feet. Powered by induction charging, Sphero 2.0 is three times brighter than the original and is pet proof, waterproof, and ready for any adventure. As a bonus, 2 ramps are included in each box and you can choose from over 30 apps to launch a whole new world of mobile gameplay. You can see the math embedded in the block code from Tickle. I love how we explore math beyond just the Geometry strand. Here are a few examples. Listen to the math talk, collaboration and problem solving. This task was not easy. Students failed. I failed. We felt safe to fail. It was about learning and exploring – being creative and collaborating. This activity wasn’t just about Geometry, although that was the driving force. We made variables, recorded times, made videos, inquired, challenged each other, failed, debugged, thought critically and played. School is about inquiry, challenges, fun and play. Our next step it to make a Cartesian Plane on the floor and “plot” the Sphero to land on specified coordinates in specified quadrants. I’m glad to see that Sphero has found a place in your classroom and curriculum, Brian. I can tell you that navigating that thing is no easy task. Precise control and precise instructions are key. You’ve got to know that, if this technology had been available at the Faculty, we’d be all over it. Until you’ve worked with one, and then tried to tie it to the mathematics and coding, you can’t truly appreciate how rich a task you’re describing. If there ever was an activity that fits into the category of “hard play”, this is surely it. This is awesome! We won some sphere doing Hour of Code this year and I was only looking at the science side. Thanks for sharing, I look forward to trying it! Enter your email address to subscribe to this blog and receive notifications of new posts, books, videos, apps and events! Copyright © 2019 Brian Aspinall - Blog. Back by popular demand! Help us help kids. All proceeds are used to purchase new technology for students AND as giveaways on this blog! To enter our regular contests, join the BREAKER community below! How do you engage learners in the Digital Age? Engaged students are more likely to internalize learning and apply it to situations beyond the classroom. So how can you get your learners to engage? Brian shares his insights on how to turn curriculum expectations into skills. 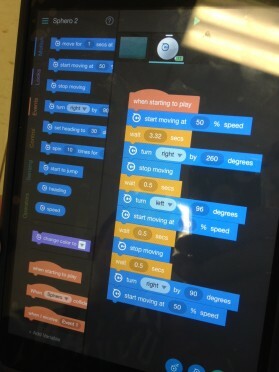 Students identify problems, develop solutions, and use Minecraft, coding and computational thinking to apply and demonstrate their learning.